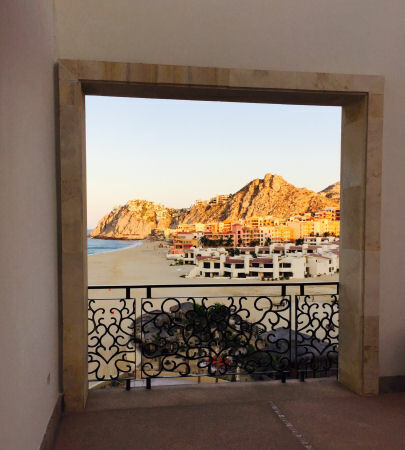 December 5, 2016 by Warren Woodberry, Jr.
Cabo San Lucas is the hottest A-List getaway destination today, but if you’re planning winter break for the warm weather there, you needn’t worry about being Hollywood royalty to get celebrity treatment when you stay at Grand Solmar Land’s End Resort & Spa. Like socialite Paris Hilton, rocker Tommy Lee and hip hop artist Lil Jon who visited Cabo, you too will be posting star-like photos at the resort to ‘The Gram’ being the envy of friends, literally chilling, back home. 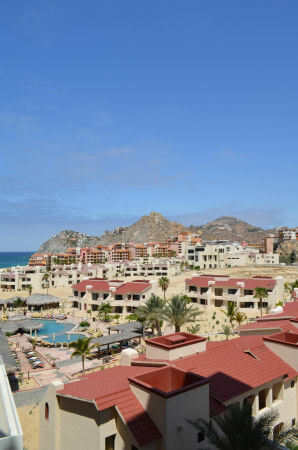 Grand Solmar Land’s End Resort & Spa is just the place for memory making. Situated just over the rocks from the iconic El Arco, the resort is where guests come to celebrate with family and friends special occasions that will be remembered a life time. Its set against a dramatic backdrop of towering rocks that would make for the Baja honeymoon of your dreams. 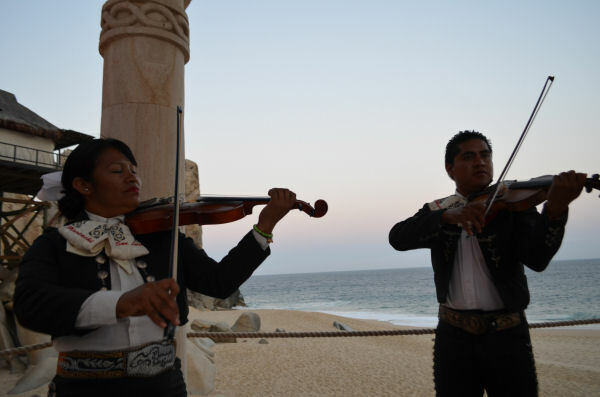 The resort is perched along the southern end of the Baja, surrounded by the most captivating scenery in Mexico. It’s located on the southernmost tip of the Baja Peninsula overlooking where the Pacific Ocean meets the Sea of Cortez. 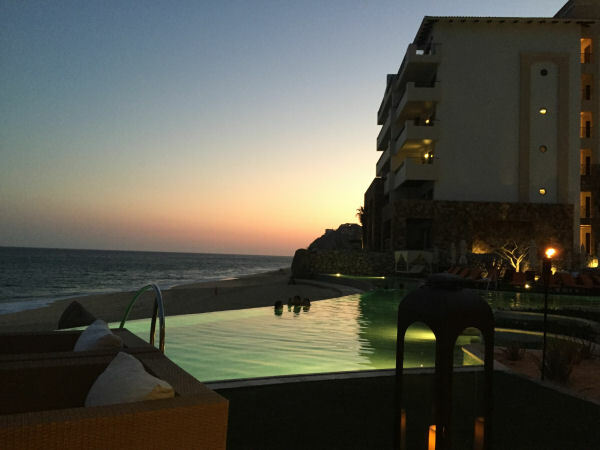 For all its natural beauty, Cabo is a delight to the eyes everywhere you look, and the resort with its well planned designs and attention to architectural detail did an excellent job in fusing Baja culture with high-end modern luxury. The upscale property’s amenities include beach access, spa, outdoor pool, fitness center, along with several bars and restaurants. It is contemporary luxury and style with a warm coastal feel. Millennium Magazine experienced its accommodations in the Grand Studio, a relaxed, superbly appointed 737-square-foot suite with a warm, plush decor that included a king bed, dinning area, full kitchen, wide open furnished balcony, marble floors, flat-screen satellite TV, and free wireless Internet. This suite’s bath featured a jacuzzi tub with walk-in shower. In addition, was a queen Murphy bed, that makes this spacious respite well-suited for up to three guests. Your morning rise may conclude with a step out onto the cool tiled balcony floor, where light from the rising sun hits your face, as you close your eyes, and the only sound you hear are waves crashing on shore. From the US, Cabo draws mostly west coasters with the Hollywood Jetset. It’s about a two hour flight from California. Snowbirds from Canada and the East Coast are beginning to flock there more to escape the winter chill. The beaches here are the lure. The resort’s beach is private with few sun bathers, making a ‘beach of your own’. Locals warn that the waters are dangerous, even for the most experienced swimmers, so don’t expect to frolic much in the waters here. Waves crash ashore well over your head, and pull back with a fury. Rejuvenate at Cabo San Lucas Spa By the Sea where you can indulge in a personalized experience. This full service spa offers facials, massages, acupressure, reflexology and signature spa treatments designed to relax, recharge and restore. You may enjoy renewed harmony between body and mind while surrounded by the Pacific Ocean, nestled between the rocks at Land´s End, Sea Spa Cabañas. This peaceful haven for rejuvenation provides the soothing sound of ocean waves and gentle sea breezes that create a calming sensory experience. Unlike the usual soft, relaxing music played during sessions, the natural experience promises greater peace. 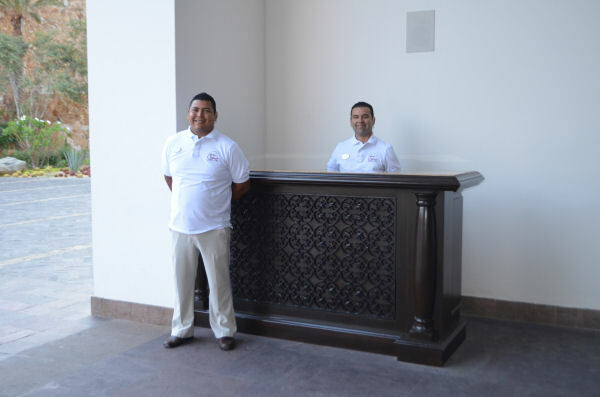 A joyful, highly attentive staff is always available and committed to make your stay as comfortable as it can be no matter where you go at the resort. Dining here is the best display of guest friendly service. Eight unique resort restaurants are designed for you to experience Baja and international cuisines, and the chance to sip some very exclusive fine wines, craft beers and specialty cocktails in an intimate bar and lounge. Savor fresh Pacific seafood, prime steaks, nouvelle Mexican and American fare as you enjoy stunning ocean views at almost every location. Once you’ve had sumptuous cuisine and extraordinary service, your curious palate will have you wanting to seek out experiences all eight restaurants. Las Olas Pool Bar: For guests who refer to relax poolside. Delicious Mexican and International cuisine is available. Sports Bar: Don’t miss a minute of the game back home on vivid HDTV screens. Enjoy American comfort food, craft beers and innovative cocktails as you cheer on your favorite team. Sushi Lounge: Take in panoramic ocean views with refreshing tropical cocktails, fine liqueurs, vintage wines along with delicious sushi. La Roca: Savor authentic Baja cuisine, grilled seafood dishes, American and Continental fare, and homemade breads in an elegant, beautifully designed setting. For late night snackers and those who like some familiarity, the Deli Cafe is stocked with robust Oaxaca coffee, espressos, cappuccinos, lattes, and macchiato, including fresh salads and homemade sandwiches at the cafe. Travelers who don’t like to be ‘stuck’ at a resort will find it hard to complain here. 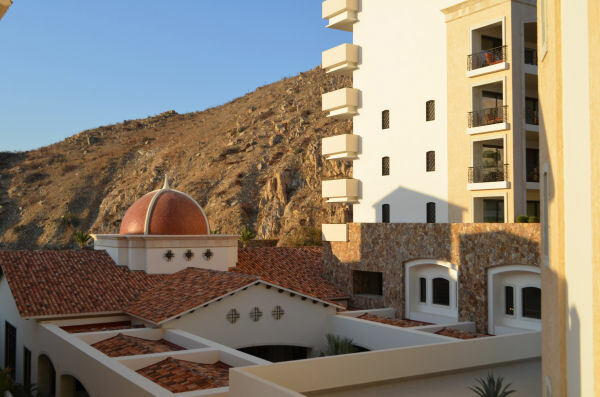 Grand Solmar very much gives you that feeling of being elsewhere and not a cookie cutter vacation compound, but those who want to mingle with the locals and explore authentic culture, there’s much to do for the adventurous who want to experience the most of Cabo. 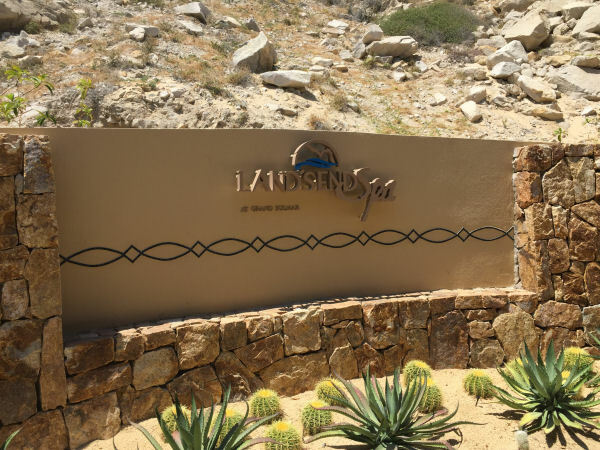 With stunning beaches, exciting water activities, historic sites, and nightlife, you’ll discover why Cabo San Lucas is fast becoming a popular vacation destination among celebrities. 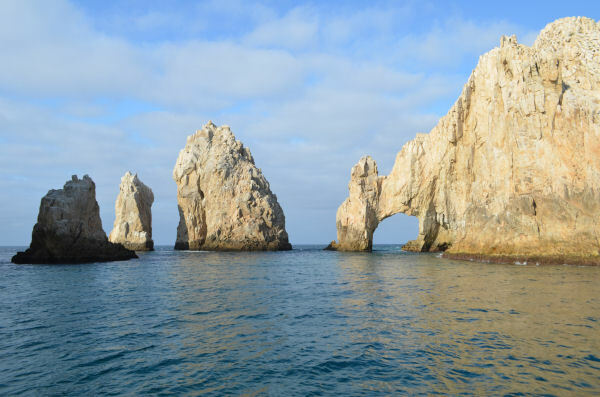 The Arch of Cabo San Lucas is unarguably the hottest tourist attraction. Erupting from the sea, El Arco is an iconic rock formation that draws onlookers by boat who like to pose for pictures by this natural treasure. 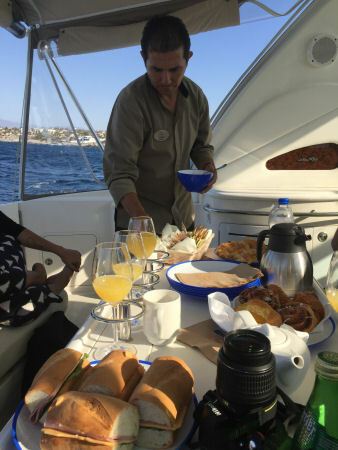 Millennium Magazine took a chartered boat tour to the Arch, serviced by a member of the resort’s wait staff who prepared a light breakfast with fruits, croissants, danishes and freshly squeezed orange juice. Following the Arch visit, guests were invited to a sea & snorkel adventure. The resort is not far from both the Arch or Lovers Beach, one of few places that’s safe for a swim. Sunset cruises offer gorgeous views of the horizon at sunset during tours of Pelican’s Rock, Lover’s Beach and even the Arch. Cabo is well-known for it’s fishing. Whether you’re an amateur fisherman and tournament angler, fishing charters are available to take you to Mexico’s richest waters. Crystal clear coves and isolated beaches are ideal for snorkeling, and Cabo offers incredible snorkel excursions of the amazing underwater worlds off the Baja. Take on the night life at El Squid Roe, a Cabo nightclub, dance hall and restaurant offering three full levels of music, dancing and drinks. Not up for much of an adventure? If you’re the one who tends to stick around the hotel while others go out to explore and play, then you will have no shame being just flat out lazy at the resort. Spend the day wading around their spectacular infinity pools with a mojito in hand from their swim up bar. You’ll soak in the water, lowering those shoulders as you feel the stress just melt away, feeling the warmth of the sun as you gaze out, taking in that gorgeous ocean view under striking blue skies. 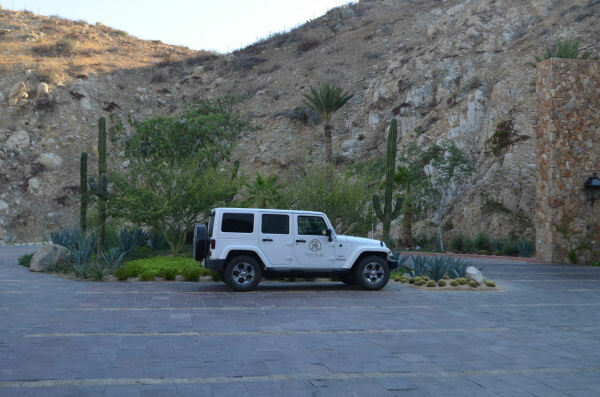 Work is the last thing you want on your mind in Cabo, but if you have to, if you must, the staff at Grand Solmar will help make that executive retreat as labor free as possible with dedicated team members who can help you plan moment by meant so you get work done while enjoying paradise. One may find it hard to believe that the first official Cabo hotel began operating in the early 1970s. How this gorgeous strip of land had not long become saturated with vacation resorts is a bit puzzling, but a building boom today has more than a dozen resorts currently under construction by developers. No direct flights are available to Cabo San Lucas International Airport from New York. Connections make the total travel time about seven hours for those on the East Coast. United does offer direct return flights to Newark Liberty Airport. With the scores of destination properties under construction, it is likely airlines will work to add direct flights, and perhaps an airport expansion is something being pondered now.